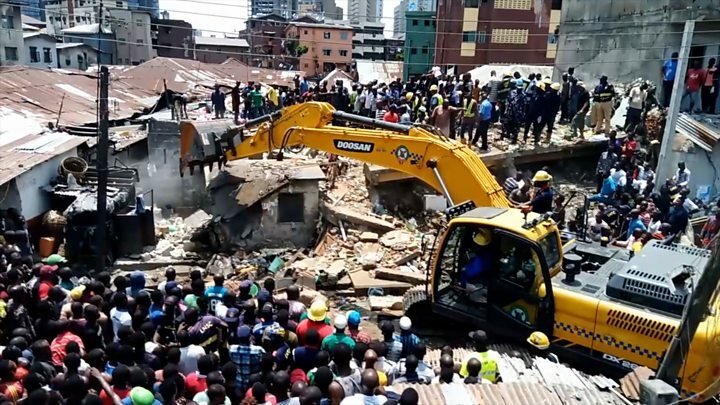 The Lagos State Government has debunked claims that a building on 57, Egerton Square, Oke Arin area on Lagos Island collapsed, yesterday, with people trapped. General Manager of the Lagos State Emergency Management Agency (LASEMA), Adesina Tiamiyu insisted no building collapsed on Lagos Island, yesterday. He said what happened was that officials of the Lagos State Building Control Agency, (LASBCA) were demolishing the building on Egerton Square and that a scavenger got injured while trying to pick up something from the building. Also, LASBCA officials, who were at the scene, said there was no collapsed building and that they were only pulling down a structure when a scavenger tried to pick up something and was injured. LASBCA Public Affairs Officer, Titi Ajirotutu, denied that a building collapsed on Lagos Island, saying the building was under demolition and that one person who was trying to pick up something from the building was seriously injured. Regardless, a witness insisted the building did not collapse on its own, but that it was being demolished and that four scavengers were injured. "The four scavengers sustained minor injuries and had been taken to the nearest hospital before the arrival of the Lagos Response team (LRT), LASEMA said on its Twitter handle.